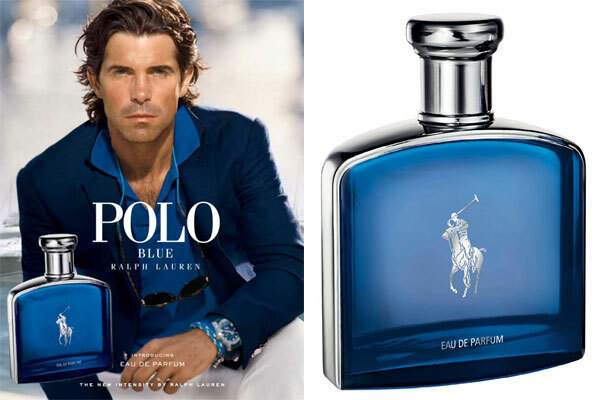 Nacho Figueras for Ralph Lauren Polo Blue Eau de Parfum, a woody aromatic fragrance for men. Created by perfumer Carlos Benaum, this intense version of Polo Blue fragrance contrasts the notes of rich vetiver with fresh bergamot. Launched in September 2016, the strong masculine cologne is available in eau de parfum spray (1.36 oz, 4.2oz $55 - $98) and deodorant stick (2.6 oz $23) from Sephora. The fragrance ads feature Figueras wearing a navy blazer over a Ralph Lauren blue polo shirt.